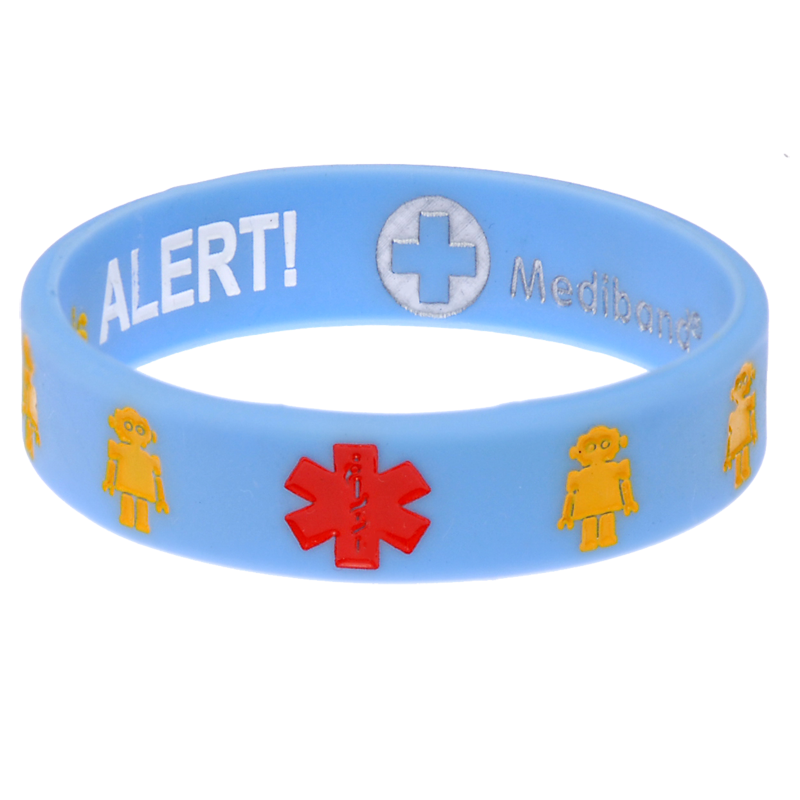 These cute allergy bracelets for kids feature little robots on a blue background. 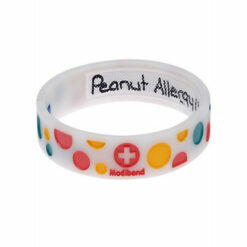 The other side reads Anaphylaxis Alert to warn others that your child has severe allergies. Can be worn with either side to the front. Size small (150mm or 5.9 inches) only. 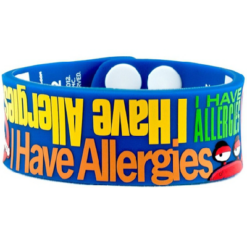 These allergy bracelets for kids are perfect for alerting people to your child’s severe allergy. One side of the wristband has cute little robots to make it appealing to kids and a red medical symbol. 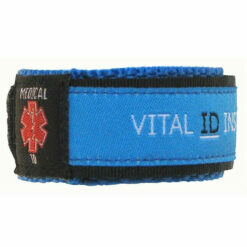 In the event of an emergency the paramedics will see the medical symbol and know that the wristband contains important medical information. As a result of this they will be able to treat your child promptly and effectively. The other side of the wristband reads “Anaphylaxis Alert!”. 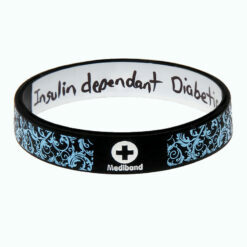 The wristband can be worn with either side to the front. 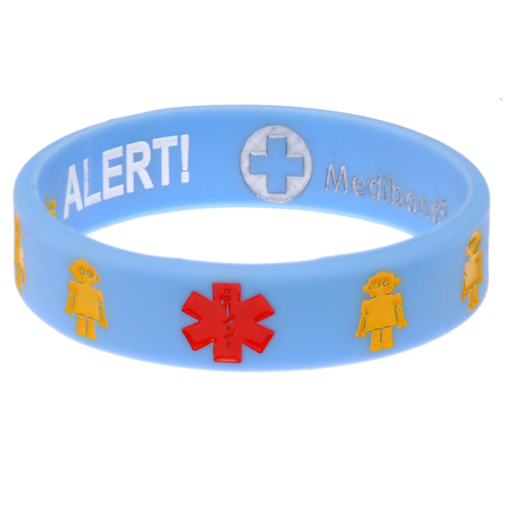 It’s important for kids with allergies to wear medical alert wristbands from a young age to get them used to wearing them. 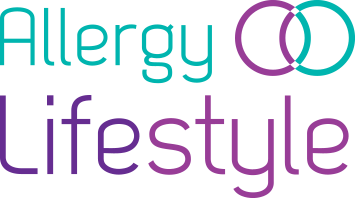 Wearing a medical ID is essential for people with severe allergies in case of emergency. Also if your child is used to wearing one from a young age, they’ll be more likely to wear one when they’re older. Available in size small (150mm or 5.9 inches) only.